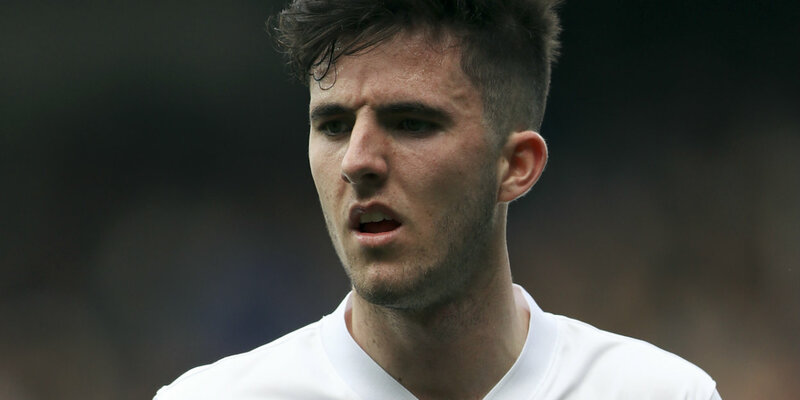 Steve McClaren believes Sean Goss can still make a name for himself at QPR but must make the most of his return to Scotland. 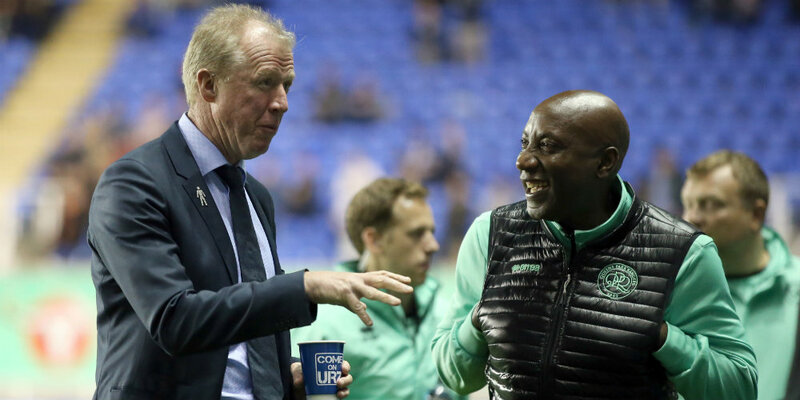 McClaren was speaking at the House of Commons, where a reception was held this week to mark the 10th anniversary of the formation of the QPR in the Community Trust. QPR’s community scheme was founded in 1994 and since becoming a registered charity in 2009 has worked with around 23,000 people. It currently puts on around 300 educational and sporting sessions per week across seven London boroughs. Goss arrived at Loftus Road from Manchester United two years ago with a big reputation. However, despite being 23, the midfielder had just 13 league starts to his name prior to recently joining St Johnstone on loan. Ten of those came during a loan spell at Glasgow Rangers last term. He has returned to the Scottish Premier League having not featured in the Championship under McClaren this season. The player’s contract expires next year but McClaren says he still feels Goss can establish himself in west London. “Definitely. But he needed to get out and play. He’s not experienced enough,” McClaren said. “He’s a wonderful footballer – a wand of a left foot – and he just needs experience. He needs league experience. “Going up to Scotland – I know he played very well against Celtic – he’s got to prove himself. “Playing in that league and that atmosphere you’ve really got to stand up and be counted. Goss was lined up for a January loan move well in advance of the transfer window, as were the likes of Paul Smyth and Ilias Chair. Smyth and Chair were subsequently loaned to Accrington Stanley and Stevenage respectively, while striker Aramide Oteh will spend the rest of the campaign on loan at Walsall. McClaren is confident that they too can be first-team players under him next season. “I think so, most definitely. They’re good players, they just need experience,” he said. “The next four or five months are very important for these players because in the summer they’re expecting to play in the first team. “They’ve been training with the first team for four or five months and got that experience under their belt. “Now, they’re experiencing – all over the country – league football, which I thought was the next development for them. “We’re monitoring them and hoping that when they come back in the summer they’ll be ready for the first team. “I’ve seen it for over 20 years; people need loan spells. It’s very, very rare that young players come through the academy, youth teams and Under-23s straight to the first team. “At some stage they need experience outside. They’ve got to really be exceptional to go right through into the first team. “The likes of Bright Osayi-Samuel (at Blackpool) and Ebere Eze (on loan at Wycombe) have had experience of league football and it shows. Director of football Les Ferdinand is keen for QPR to develop young players with potential sell-on value. The project is being overseen in large part by technical director Chris Ramsey. And McClaren, who had a brief spell on the coaching staff under former Rangers boss Harry Redknapp, in 2013, says he has seen a huge transformation since taking over as manager in the summer. “What they want to create here at QPR is kind of a conveyor belt and develop the young players,” he said. “We’ve got some already in the first team, but with the academy Chris Ramsey and Les Ferdinand do a great job in terms of recruiting young players. “I was here five years ago with QPR and it was such a mess, with older players. “I’d been watching from afar and I knew the job that Chris and Les had been doing, focusing on the academy and young players. “They’ve got great contacts, taking boys from other clubs.